Woooow, what a day it was! 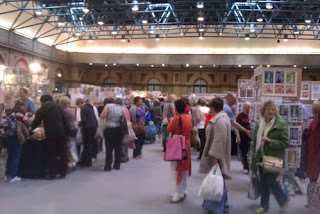 I am still smiling and jumping with excitement after my trip yesterday to The Big Stamp and Scrapbooking Show at Alexandra Palace - aka Ally Pally ;). I was very lucky to travel there in such great company of the super talented and super funny Ruby and her lovely daughter Natasha ;). 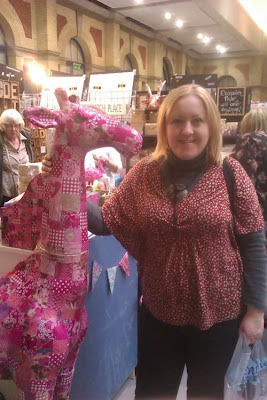 The whole experience was just overwhelming, so many fabulous stalls with a vast amount of MUST HAVE goodies. I felt like a child in a candy shop, given a big trolley to fill it up with all the loveliness ;). 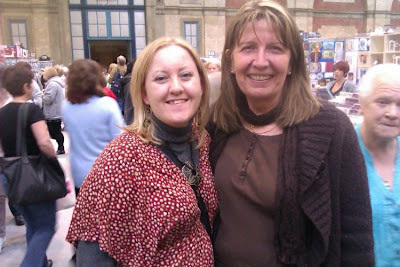 I loved the demos I saw at the Artistic Stamper, PaperArtsy and Creative Expressions stands with Hels Sheridan. But I must admit, my highlight was definitely stand no 62 with the lovely Traplet Publications girls Michelle and Viv, featuring the Craft Stamper and Scrap365 magazines. 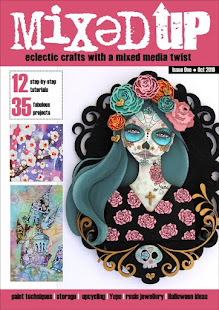 With a little help from my friend Ruby, that's where I found out out that my project has been published in the May issue of Scrap365!!! I haven't had my copy delivered yet, nor did I know which issue it was going to be featured in so it was such a fantastic surprise for me!!! 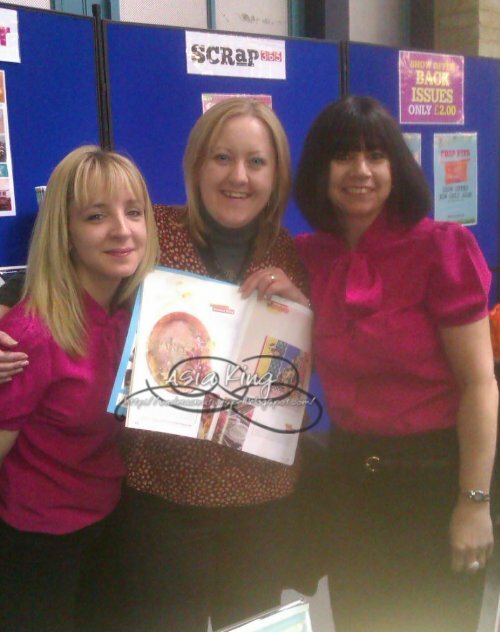 Here I am with Michelle and Viv, proudly displaying the page with my project - for all Scrap365 fans - look out for page 32! Despite my legs and feet hurting from all the walking and jumping (with joy) I did yesterday, I am still smiling ;). This has definitely been the day of the year 2012 for me so far! 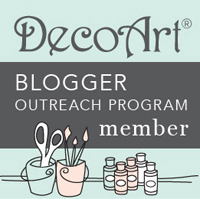 I apologise for neglecting my visits to your lovely blogs but with all the goings on I haven't had a free moment lately. But I'll be visiting you very very soon! p.s. 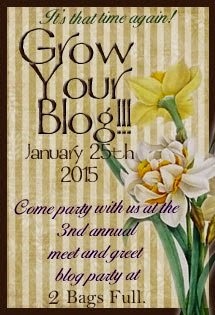 Check back on Tuesday as I have a sweet surprise prepared for my crafty friends! hope you had a wonderful time Joanna. it's a long time since I've been but it was always a good show. So glad to hear you had a great time Joanna and will look forward to my copy of Scrap 365 which has yet to come as I can't wait to see what you did. As I said to Brenda, I'm still somewhat gutted that I wasn't able to come after all as I was away. That is so cool my friend.. You should be published. Your creations are amazing.. Looks like you had a blast at the scrapbook show. I just love the photos of you! So sweet! It was a great show wasn't it? I went with my sister and we were like two children scuttling from one stall to another! 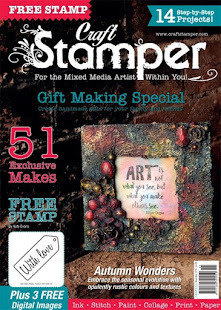 Congratulations on the publication in Craft Stamper! Sounds like a great weekend - thanks for sharing. Firstly, CONGRATULATIONS how wonderful for you to be contributing to a Traplet publication - so thrilled for you. Can you believe it but I have never managed to attend a show so can only imagine how overwhelming it must be to see all those craft goodies calling your name (! ).